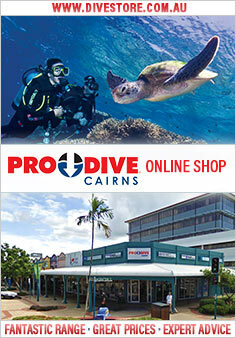 Since 1983 Pro Dive Cairns has developed and maintained an international reputation as the premier dive company in Cairns. Their modern purpose built diver training centre provides some of the best facilities available. This company is committed to the idea that, regardless of level, any diving activity taken with Pro Dive should be safe and enjoyable. The 3 day adventure visits up to four easterly Outer Great Barrier Reef locations. The various sites were selected for their extravagance of marine life and excellent visibility and are rarely visited by other vessels. The trip is suited to all levels of diver training, from novice - experienced divers and gives passengers the opportunity to view magnificent hard & soft corals, giant clams, turtles, stingrays and the largest variety of tropical fish both large & small. On the 3 day trip, you will complete your 4 training dives which will complete your PADI Open Water certification. You are now a certified diver! After this you are able to go on and enjoy up to 5 more dives as a recreational diver, one of which is a night dive guided by your instructor. On your return to Cairns passengers and crew get together at a local restaurant to celebrate the conclusion of your Great Barrier Reef experience! 10:30 The last training dive for your PADI Open Water Certification. Now you are a certified diver!!! Some medical conditions may prevent you from diving. Asthma, diabetes, epilepsy and pregnancy are the most common ones encountered.